You can't be mad when you're on time! 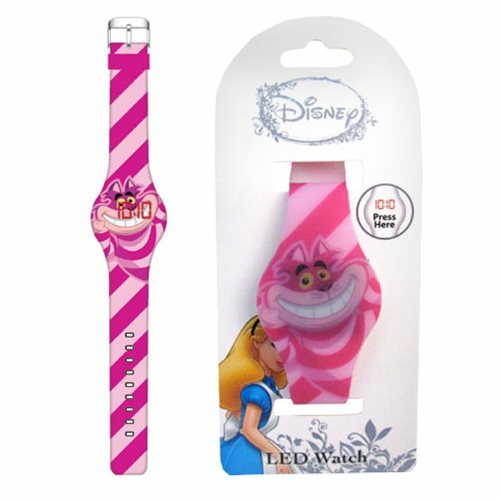 This Alice In Wonderland Cheshire Cat Print LED Watch features the Cheshire Cat with a red and pink stripe design across the silicone watch strap. At first glance, this watch resembles a sleek silicone wristband, but with a simple push of a hidden button on the face of the watch, a red LED time lights up to display the time! Total length of the watch measures about 9 1/2-inches long including face. The watch comes packaged on a firm cardboard backing. Ages 13 and up.